And, in general, adoption of new technologies always takes place over years. Depending upon how you count, significant Linux adoption by mainstream enterprises took up to a decade from its inception. Many considered the Linux 2.4 kernel to be the first one that was “enterprise ready” (whether or not they were able to define what they meant by that term) and that didn’t appear in commercial Linux distributions until about 2001—well after Linux was already in widespread use for Internet infrastructure. 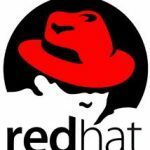 Red Hat OpenStack, Linux, Virtualization: Cloud Triple Play?